Is there anything better than fresh citrus in January? I am so fortunate to have a dad who is a Master Gardener. He has two satsuma trees, a naval orange and friends with a Rio Star grapefruit and a Meyer lemon! The marmalade process takes time, but it is well worth it!!! (As in the recipe, but actually, I wouldn't recommend it. 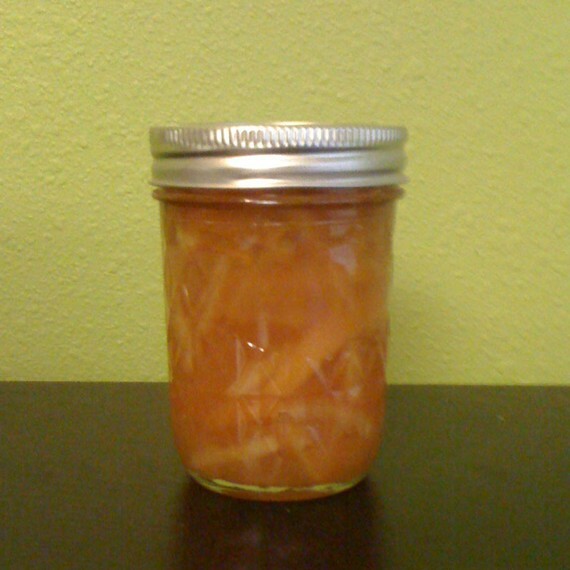 The recipe that I adapted is Orange Lemon Grapefruit Marmalade on Food.com. 7. Cook in a nonreacvitve pan for 30 minutes at medium. 8. Add sugar and cook on high for 20-30 minutes. 9. Check for thickening by placing a dollop on a plate that has been in the freezer. Give it a minute, and if it wrinkles up when you touch it, it's ready! If it runs around, let it run around in the pot longer! 10. Process jars in hot water bath! This time around, I used Naval oranges, Meyer lemons, and Rio Star grapefruit. **I have, sometimes, used a box of No-Sugar Pectin towards the end. I do this only if my marmalade is refusing to set up for me. I use the No-Sugar Sure-Jell brand because I don't like to add the amount of sugar it takes for the regular kind. So, keep a box handy, just in case! **I love to use the picture directions at the Pick Your Own website. They take you through the process from beginning to end!